The Belle Vue Iron Works ran along Bleke Street between Haimes Lane and Victoria Street, where Homefarris is now. It was founded by John Farris, who built his home, Llanreath House, where Brionne Garden is now, on the corner of Bleke Street and Victoria Street. 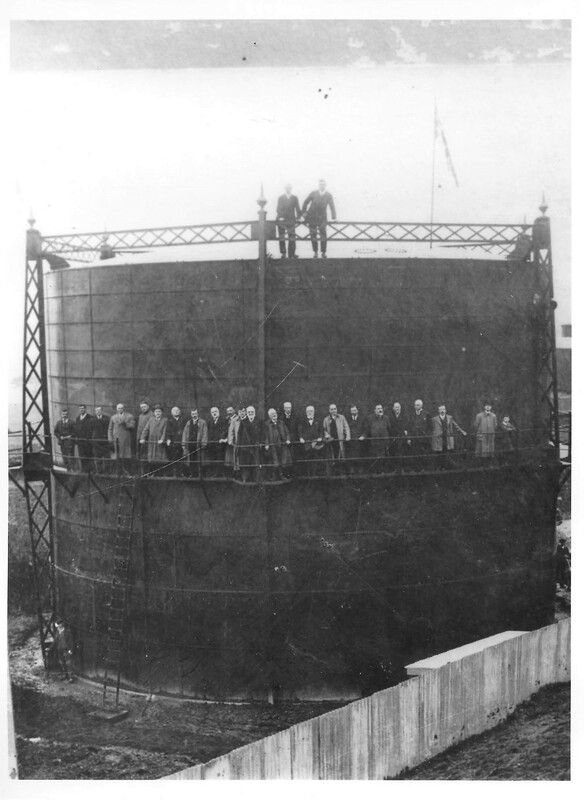 The engineering works was the principal local employer, with at least eighty men in its heyday, supporting many Shaftesbury families and farmers in the district. John Farris died in July 1914, and his funeral cortege was impressive, with the town council, the firm’s workforce, farmers and business men from a wide area paying their respects. He was buried in Holy Trinity churchyard. 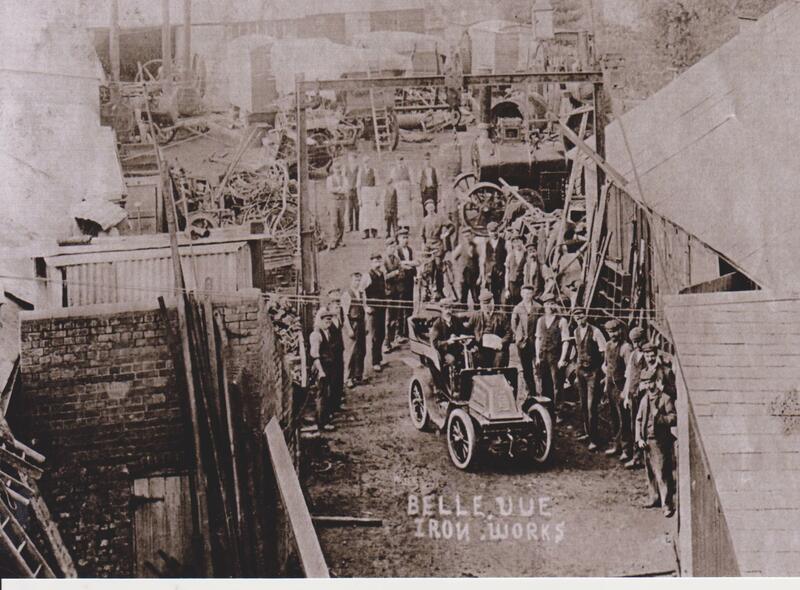 This photo below was taken in about 1903, and in it one can see some of the vehicles and machines which the factory made. In the top left hand corner are three portable steam engines, which could be towed to a work site and used to power machinery. To their right are shepherds’ huts and threshing tackle. A blast furnace was installed to make various iron products, such as land roller rings, saw benches, chaff cutters etc. All the activities were very labour-intensive, involving blacksmiths, carpenters, mechanics, painters, and moulders at a later date. On farms, engine drivers were needed to drive the traction engines with threshing machines or water carts to fields where they worked until the job was completed. If necessary, they would stay overnight in one of the shepherds’ huts, which were also sold to customers. The single furrow plough was popular with farmers who bought large numbers of them. The engineering works maintained and repaired machinery, such as mowers and binders, which were drawn by horses or tractors. The company also supplied steam rollers for road maintenance, working with Dorset County Council. 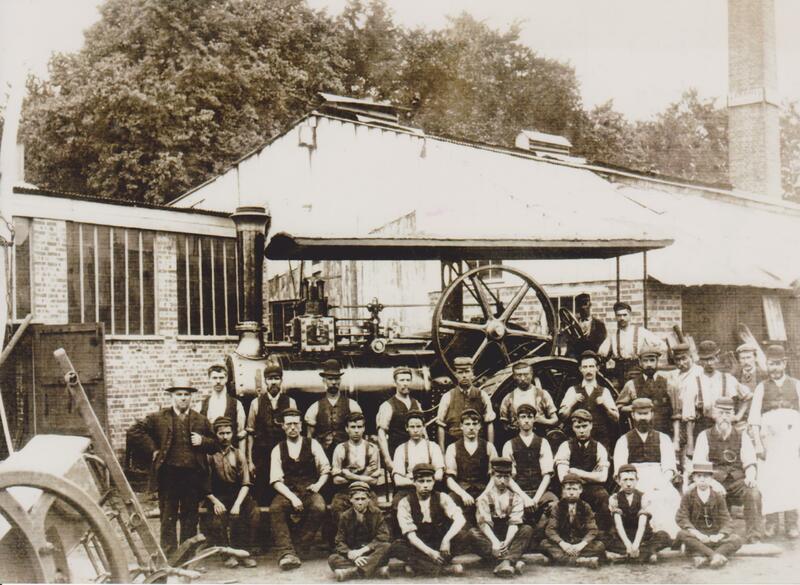 The engineering firm, E.S Hindley in Bourton, was founded in the 1830s, specialising in boilers and engines. 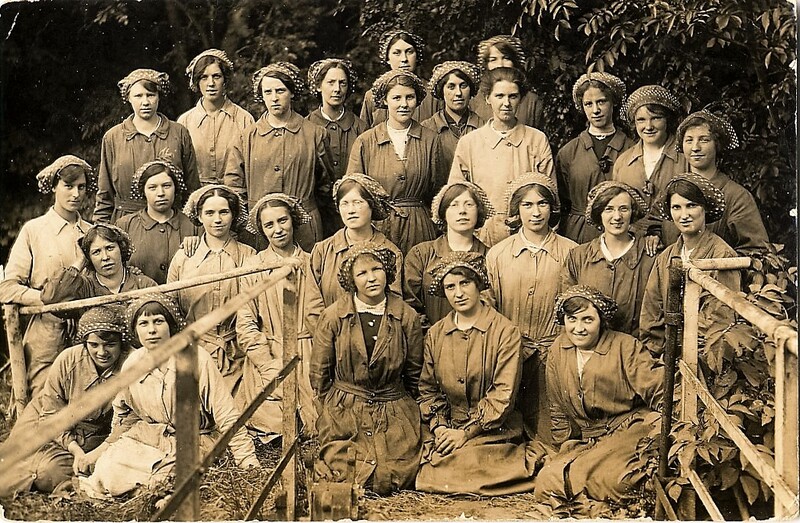 The foundry was converted from water to steam power at the outbreak of war, and many local women were employed to make 3 million ‘Mills bombs’, or grenades. The factory was badly damaged in 1917 when the River Stour burst its banks and raced through the factory, destroying machinery as it flooded everything in its path. Despite this disaster the factory was able to resume manufacturing grenades after repairs had been made. Apart from the munitions factory at Bourton, industrial activity in the Shaftesbury area was mainly connected with the local rural and farming economy, though many of the products were distributed outside the region. Brickworks were established on the clay soils of the Blackmore Vale, in Motcombe and Gillingham. The bricks were still handmade at the beginning of the 20th century and in 1895 Motcombe House was rebuilt using over one million local bricks. Hawker’s Hill Brickworks made bricks with a ‘W’ for Westminster in the frog (recess), a practice discontinued after the death of the Marchioness of Westminster in 1891. In 1908 an oil engine was bought to extract clay, previously done by hand. Although brick-making provided jobs, the work was physically very demanding, offered low wages, and was seasonal (summer). The plant was mechanised further in 1929, but the brickworks closed in 1949. The Gillingham brickworks occupied three acres between the junction of Fernbrook and the River Loddon, opposite Kingscourt, after which it was named. The Gas and Coke Company was founded in 1837, and there were gas storage towers in Enmore Green. On the corner of Angel Square, where the Post Office is currently located, Shorts coach building works employed many local men and women, in a variety of trades, including carpentry, metal and leather working, and upholstery.